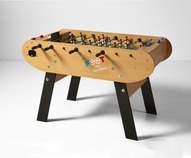 This is a commercial-grade table made by the French manufacturer, Rene Pierre. 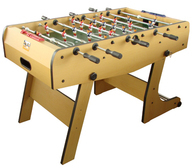 It is designed for the home but features many of the components made in their professional line. 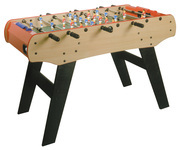 All Rene Pierre tables emphasize control, finesse and touch, over American-type power and speed. 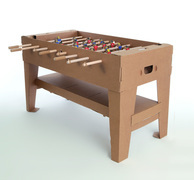 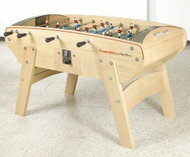 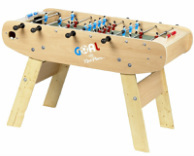 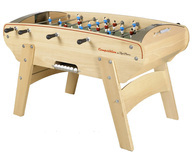 The Champion offers telescoping rods, green linoleum playfield, egg shaped cabinet with angled legs.